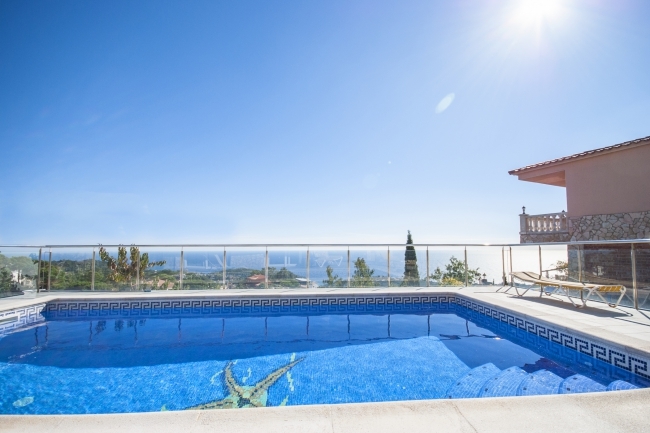 Villa Garbi is a beautiful house in the residencial area of Serra Brava, 5 km from the beach of Cala Canyelles and 7 Km of the centre of Tossa de Mar (5 Km from the centre of Lloret de Mar), built on a plot of 700m2. With a living area of 200m2 over two floors, Villa Garbi has 5 bedrooms, one double (150x190cm), three double bedrooms (90x190cm) and one individual room (90x190cm). It has two bathrooms (one with a shower and the other one with a tub), all on the top floor. The lower floor is composed of an open kitchen and a spacious dining room where you can enjoy the wonderful sea and mountain views, and an WC. The outside zone has a 8x4m sized swimming pool and a barbeque area. Optional heating (extra cost: 50 eu / week) The 2 pictures of the beach don't correspond to the view from the house. They are of Cala Canyelles, the closest beach to the villa. Cala Canyelles is a pretty stretch of the Costa Brava's coast with 500m of the characteristic coarse white sand beach of the area. Umbrellas and deck chairs are available to rent as well as activities like pedal boats, parasailing, water- skiing and canoeing. Also you can taste the Mediterranean food, fish and paellas, in the restaurant placed on the beach. 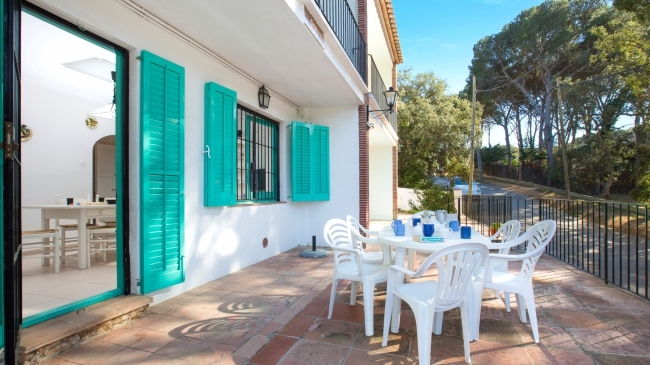 House of 120 m2 located in Llafranc, 500 m from the beach and the center. Spread over 3 floors, it has 4 bedrooms (1 suite with bath-tub and double bed 140x190 and exit terrace, 1 bedroom with double bed 140 x 185, 1 bedroom with 2 beds 80 x 190, 1 bedroom with trundle bed ( 90x190)), another bathroom with bath, kitchen (gas, oven, microwave, dishwasher, washing machine), living-dining room (fireplace, TV), air conditioning (cost not included). Large private terrace with furniture. 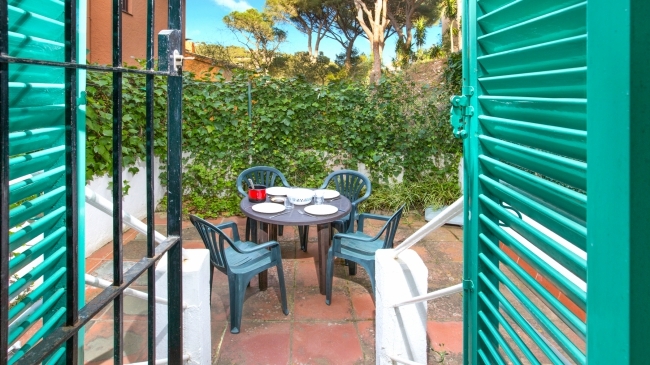 Simple apartment located in Llafranc, only 150m from the beach and from the centre. On the ground floor with 3 double bedrooms (1 Double bed and 4 single beds), a dining-room (TV, sofa-bed), a kitchen (microwave, dishwasher), washing machine, 2 bathrooms with showers, and a terrace. 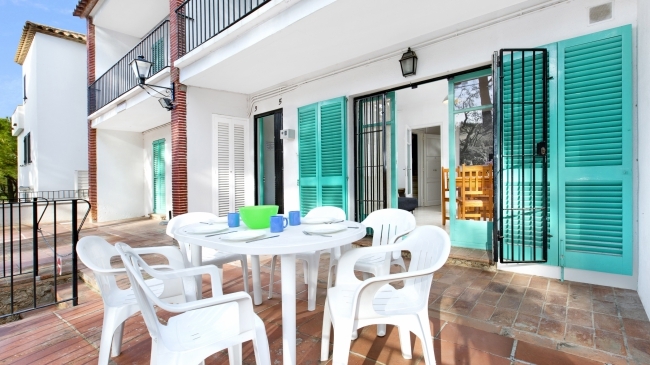 Simple and basic apartment on the ground floor located in Llafranc, just 150 m from the beach. It has 3 bedrooms (1 suite with 2 single beds (80x180cm) and shower, 1 bedroom with 3 single beds (80x190cm) and 1 bedroom with 1 single bed (80x190cm), dining room (TV, sofa-bed (110x190cm)), kitchen (gas stove, oven, microwave, dishwasher), washing machine on the terrace (furnished), 1 bathroom with shower. 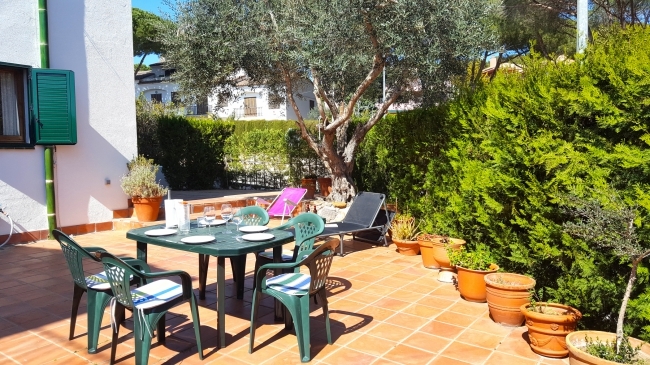 Simple and basic apartment located in Llafranc, just 150 m from the beach and the center on the 1st floor. It has 3 bedrooms (1 suite room with 2 beds of 80x180cm and shower, 1 bedroom with 2 single beds of 80x180cm and 1 bedroom with 1 single bed of 80x190cm), dining room (TV, fireplace, sofa bed of 110x190cm), kitchen (Gas, oven , microwave, dishwasher), washing machine in the small backyard, terrace (furnished), 1 other bathroom with shower. 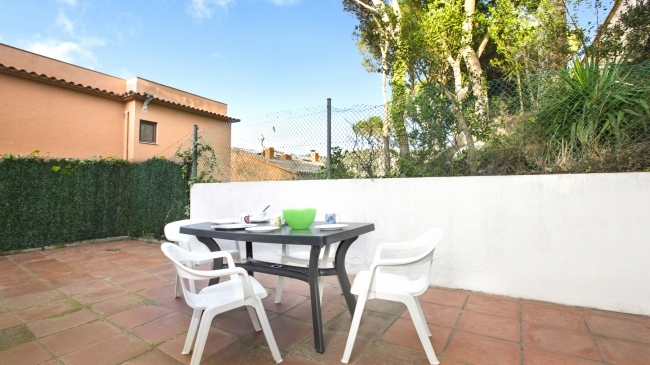 Simple and basic apartment located in Llafranc, just 150 m from the beach and the center. First floor without elevator. It has 3 bedrooms (1 suite room with 2 beds of 80x180cm and shower and 1 bedrooms with 2 single beds of 80x180cm and 1 bedroom with 1 bed of 80x190), dining room (TV, sofa bed of 110x190cm), kitchen (Gas, oven, microwave, dishwasher ), washing machine in the small backyard, terrace (furnished), 1 other bathroom with shower.